Dr Mark Young, formerly University of Aberdeen, will deliver this Aberdeen Entomological Club seminar entitled "Conservation of rare Burnet moths (Zygaenidae) in Scotland". It will be held at the James Hutton Institute in Aberdeen. 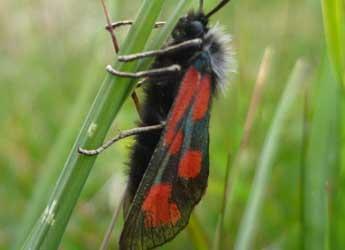 Two of Scotland's burnet moths (Zygaenidae) are really rare and endangered but intensive conservation efforts over the past 20 years has lead to some real success and a much better understanding of their ecological requirements. This talk reports the results of these conservation efforts and speculates on necessary future action.